My mother-in-law called to ask if we wanted Snapper fillets caught just this morning by a family friend. We are blessed to live on the coast and have access to the freshest catches from the gulf! I never really liked fish until I moved to Florida. Now I can honestly say that any aversion to seafood I had before was quickly cast away after eating fish this fresh. Red Snapper, Grouper, Cobia, Flounder and Scamp are my favorite selections. 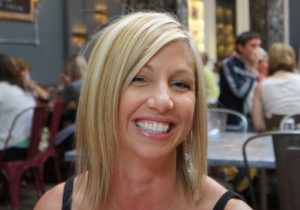 My sister-in-law, Melissa, lives in Seattle and the Salmon there is like no other! (you can follow her blog post too: http://hungryvegetarians.com) I still have a little trouble deciding what to serve with fish. Luckily, we still had a Green Chef meal that I actually put off cooking, as it was one big salad and I wasn’t sure a salad for dinner would go over too well with the little monsters. As usual, despite my skepticism, the meal was delicious. My 2 year old, Andrew didn’t eat much of the salad but, that’s okay. 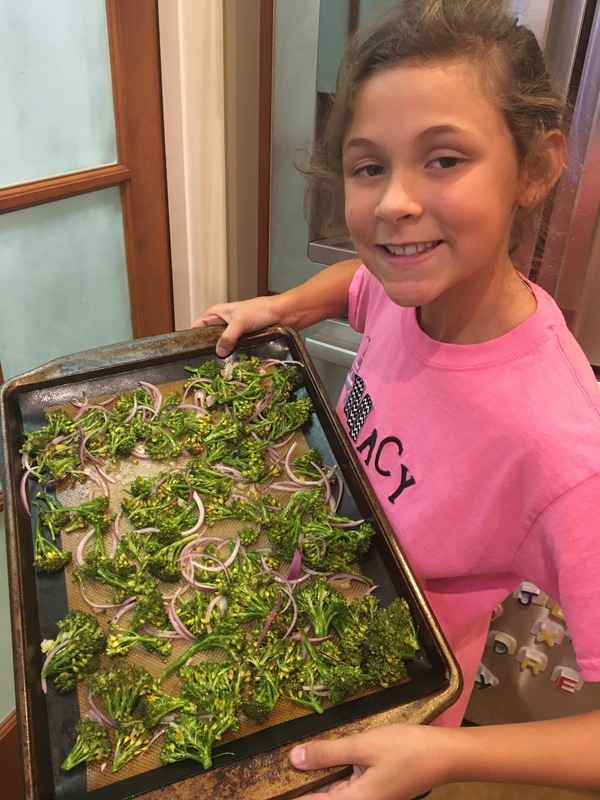 See my related post about getting your kids to try new foods: What’s for Dinner My 9 year old helped break apart broccoli, peel garlic, drizzle olive oil, stir and mix. She ate every last bite of her Green Chef salad, raved about how good it tasted and tried to persuade the other kids to share her opinion! The salad had roasted broccoli with thinly sliced red onions and garlic, served over a bed of salad greens, couscous with pine nuts, crumbled feta, capers, chopped boiled eggs and a vinegrette dressing. Mike seasoned the Snapper with a little salt, and pepper and gave the fillets a light dusting of flour, then pan-seared them to perfection. The meat was tender and sweet! Mike says that when it’s sweet like that, the fish had probably eaten a lot of crab. I dunno, but Snapper always tastes sweet to me. I loved this dinner and I especially loved that it was so healthy and the monsters ate it!!! Prescription from a professional: try including fish in your diet at least twice a week! *something you may not know: the American Heart Association recommends eating fish two to three times a week. We have an imbalance of omega-6 and omega-3 fatty acids in our American diets. Research shows that a diet too rich in omega-6 increases heart disease and inflammation. Foods high in omega-6 are oils, margarines, processed foods, fatty meats and high-fat dairy products. Studies show that eating more foods high in omega-3 fats, such as fish, flaxseed, walnuts, soybeans, chia seeds, shrimp and oysters can help build new cells in your body, improve eye function and may even provide modest benefits to symptoms of attention deficit hyperactivity disorder (ADHD). Other related posts: Help Me To Help You!